I first met Meghan when she was a bridesmaid in another wedding I shot (S/O Mackenzie & Will! <3 you guys! ), so I was really looking forward to working with her again. 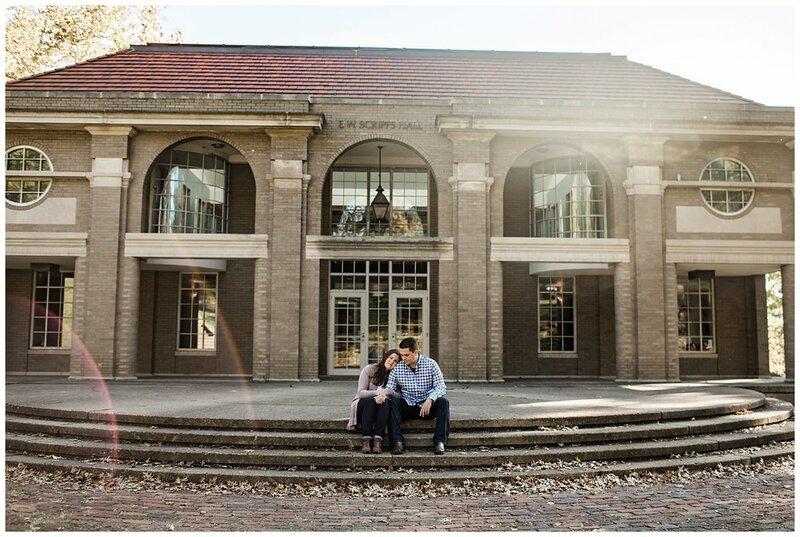 And the fact that she wanted a fall engagement session at Ohio University just amplified it! If you've ever been to Athens or Hocking Hills in the fall, then you know why! 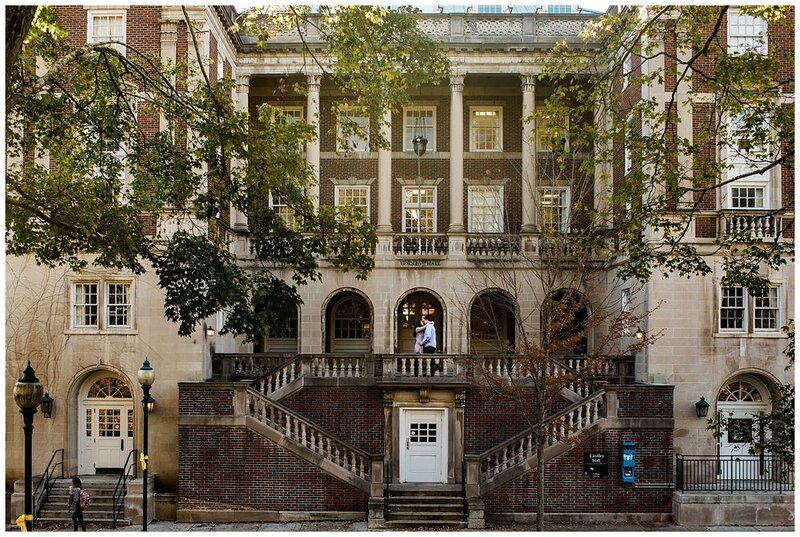 Ohio University was the first college I toured with my dad when I first started looking at campuses, and I'll never forget the feeling I had walking through the cobblestone streets taking in all the beautiful architecture. And even then, before I found photography, I could appreciate all the character. As we walked around campus Meghan and Josh told me about the different buildings, Ohio University traditions (like the kissing circle and "Athens Blocks"), and their time at OU. It was such a cool experience to learn more about their relationship in the place it all started. Definitely not wasted on my hopeless romantic heart!